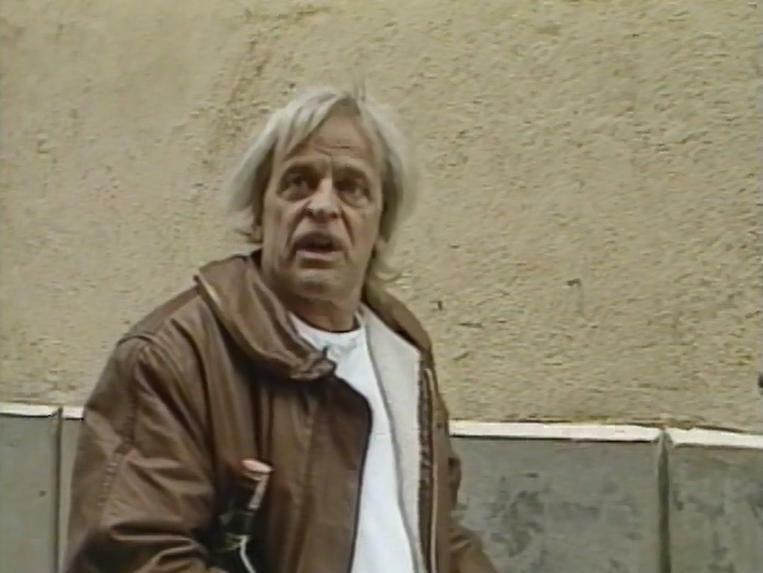 Jay Miracle’s interview film KlausKinski.45minutes was recently reviewed on Du dumme Sau! 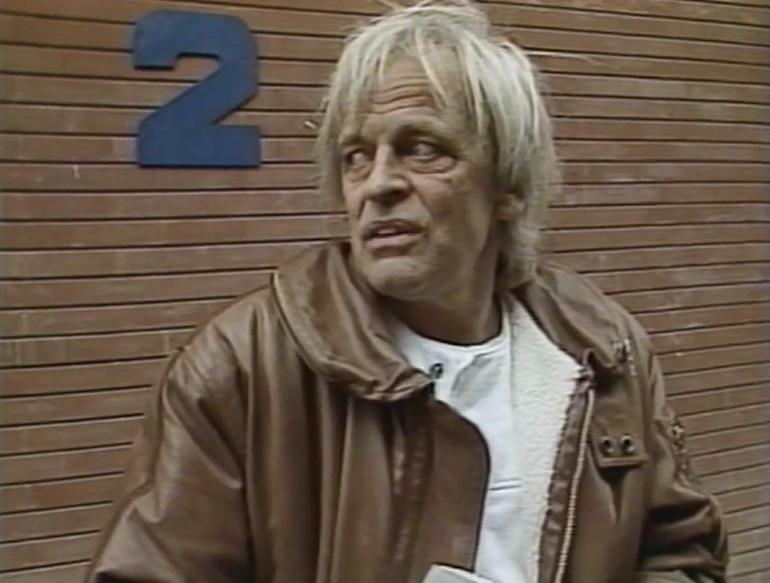 (see https://locotigrero.wordpress.com/2011/03/27/klaus-kinski-wants-to-give-people-fun/) and now I’ve been lucky enough to get an interview with Mr Miracle himself. 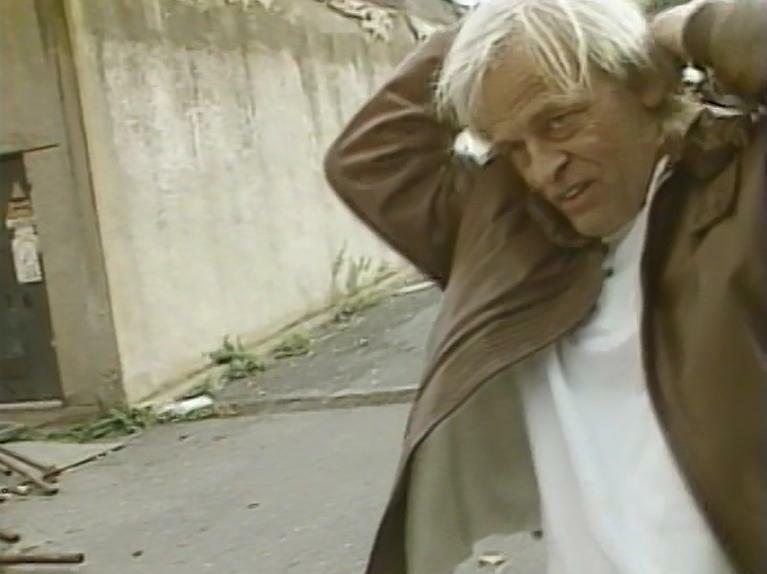 KlausKinski.45minutes is a great film and I understand that a slightly longer version of the interview will be coming out on the Klaus Kinski Talks 2 DVD from the Klaus Kinski Estate Editions on 8 April 2011. So if you haven’t seen the film already you can either order Jay’s original version from Amazon in America or you can get the longer version – which I’ve not yet seen – on the German DVD. 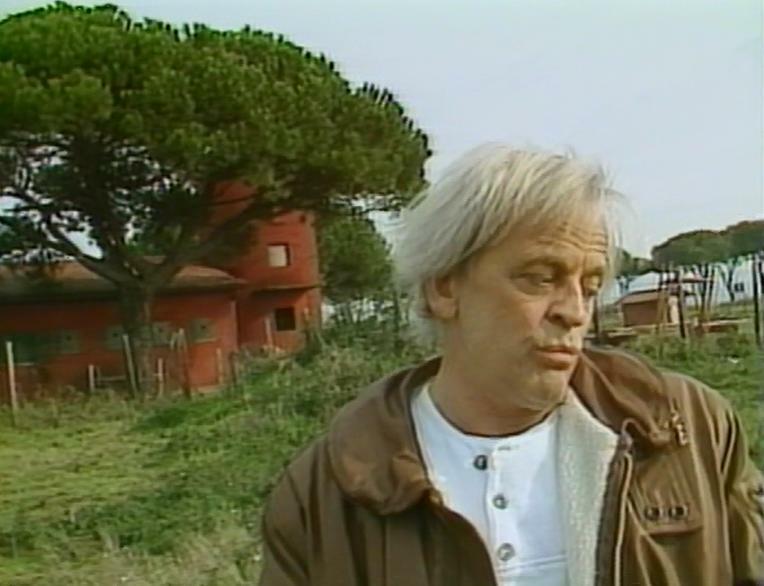 I’m told there are no English subtitles on the Klaus Kinski Talks 2 DVD but as the Jay Miracle interview was conducted in English anyway I’m guessing that it’s in its original format. Buy them both anyway; you know you want to. DDS: Thanks for agreeing to do an interview, Jay, Du dumme Sau! really appreciates it. 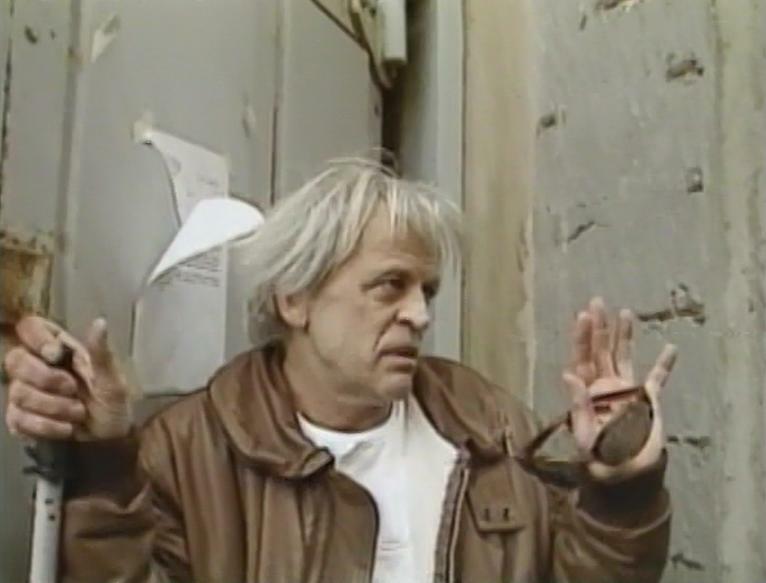 One first thing, I kind of thought – and I say this in my review of KlausKinski.45minutes – that maybe the interview didn’t take place in 1987 but might have taken place in 1985 when Klaus was working on David Schmoeller’s Crawlspace, or maybe early 1986. Was it definitely in 1987? No big deal really, but just wondering how the dates tie up. DDS: I know you said you knew Klaus already through working with Werner Herzog, when was this? JM: I first met Werner at the Pacific Film Archives – through Tom Luddy – was a volunteer there for two years and saw all of Werner’s movies. I met him when he was there, and I worked with Errol Morris on Gates of Heaven ­– a pet cemetery film that “[Gene] Siskel and [Roger] Ebert” rated as one of the top 10 of the decade – on which I was initially co-producer, did location sound and brought my friend Ned Burgess onto the shoot as the DP. He eventually shot most of Gates of Heaven, as well as other Errol projects. After the film finished, Werner made good on a bet and had one of his boots sauteed at Chez Panisse for about a week, then “ate his shoe” on stage in Berkeley. Les Blank made a movie of it [Du dumme Sau! note: Werner Herzog Eats His Shoe, 1980]. Werner has always been an incredible inspiration to me. DDS: When did you first think about doing the interview with Klaus and how did it come about? JM: I was in Rome waiting to do another project for Empire Pictures (David Schmoeller was there shooting Crawlspace and Stuart Gordon was shooting From Beyond). I had met Klaus through a number of other filmmakers/producers (Barbet Schroeder, Pierre Cottrell) and we’d connected at the Telluride Film Festival (which is why he keeps referring to me about what happened there with him and Werner). 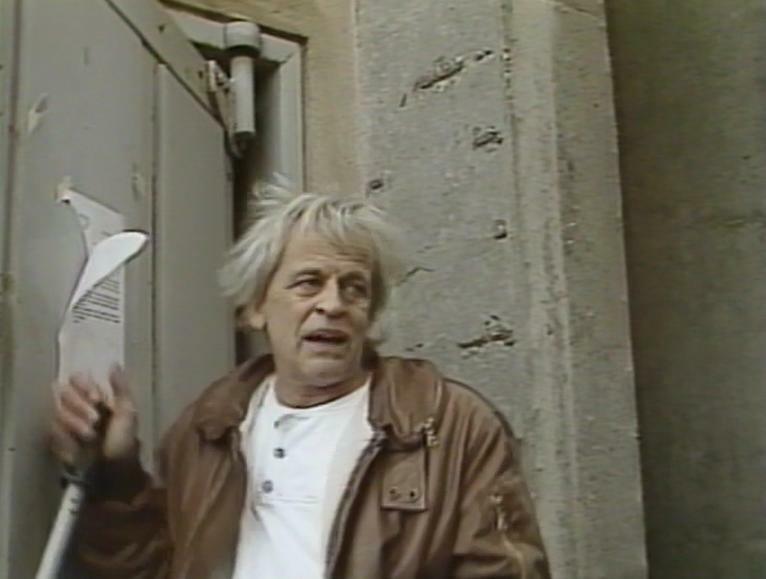 Klaus was not having a good time at all during the shoot of Crawlspace. He was constantly upset over any minor detail, and I would hang out with him while he was waiting around at the stages and his dressing room. Since I was a decent listener, for some reason he just loved to rant about everything to me, and we got quite close there. After two weeks, there was a major devaluation in the Italian lira, and my project fell through — but Empire Pictures needed some publicity for the two films, so I started to show up with a crew and camera. Klaus was not in the least interested. He hated interviews, but one day, on the chance event that he was in a great mood, he decided I could talk to him (but only if I carried the camera under my arm, and looked at him directly). It was quite bizarre, but he was up for a walk around the grounds, and I probably got 2-3 sentences in the entire time. For someone not interested in interviews, he just ranted straight through and would not stop talking. I had no idea he would go off like that, or I would have brought another 2-3 hours of tape. But it was easy for him, because we had talked about everything several times over the previous few weeks. DDS: Did you get to ask many questions? 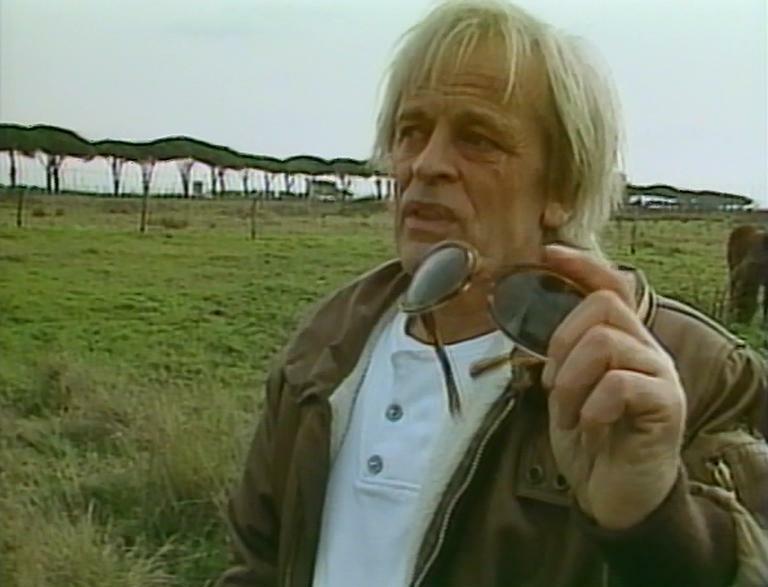 I know the film’s been edited together – probably for coherency reasons – as Klaus seems to drift from one subject to another from time to time, so I’m wondering if you even got much of a chance to ask questions as he seemed to just roll with it and go off on one? JM: He ranted and raved nonstop. DDS: As a film director (I know you’ve worked in many different roles in film making but directing is one of them) do you understand where Klaus is coming from with his opinions on directors? And did you agree with his opinion on the studios and how they should “make fun for the people”?!! DDS: Although Klaus was going off on one a little bit at times he didn’t seem to be really ranting in the film and he seemed to be fairly jolly really – from time to time you can see a smirk on his face or even a big smile when he knows that what he has just said is silly or outrageous – but you were there with him filming, did you feel comfortable or were there ever moments when it was a bit crazy? JM: He really had a great time, and so did I. I was so surprised at how engaged and enthusiastic he became. It was never uncomfortable, but he was always highly-strung. DDS: I can’t believe how well you did with the filming under the circumstances, were you pleased with the outcome? 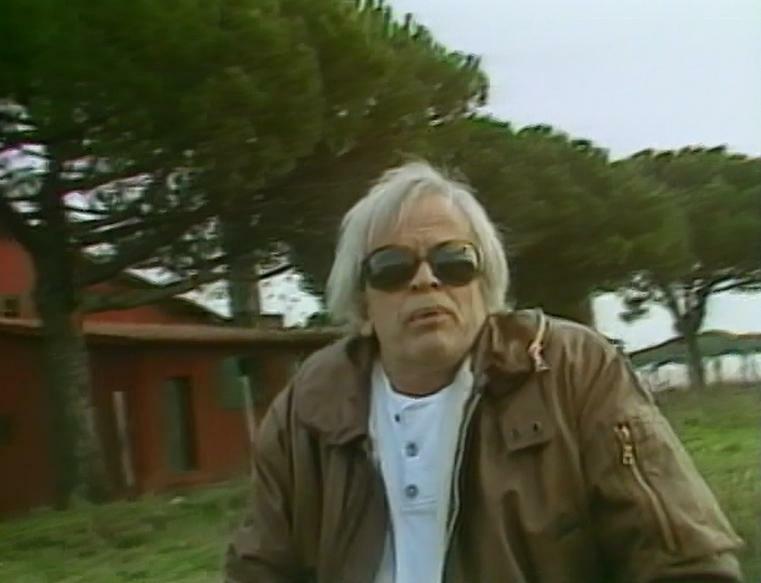 And are you pleased that it’s now coming out on the official Klaus Kinski Estate Editions DVD? JM: I would love to see that DVD — but of course, the interview conditions were so strange, and I had no idea whether he would even show up in the frame. It was an odd experience. I just hoped some of it would stay in focus, etc., and knew we could at least use some of the sound, if nothing else worked. DDS: Klaus seemed to be a bit restless during the interview, constant pacing, folding the paper, playing with the lever on the door, etc, did you just have to run along with him wherever he went? Did you manage to keep his attention? And can you tell me how he broke his sunglasses?!! JM: His attention was totally on ranting – and he was just a wired guy – and he loved to walk. That was the only way to get him to agree to talk on camera, so I just followed him around and I was laughing most the time and really enjoying it – and he did too. DDS: Just an observation but his face lit up when he saw those two ladies in the offscreen space (“they must be two sisters!”)! JM: Of course, right behind us, there were two beautiful women arriving on the set to see him. He was always excited about that. DDS: And can I ask as well, did you manage to follow what he was saying all the time? It really did seem like stream of consciousness stuff to me and it was highly amusing for it. JM: I didn’t really care — I could barely get a word in edgewise – so I just went with it. We both had a great time. He literally did not want to stop. He kept coming back to me for days later, expanding on this and that. It was quite funny. JM: The amazing thing about him was he was so dynamic – unpredictable – and brilliant when he wanted to be. He could not stand being “directed” by someone if he didn’t think they knew what they were doing, and he would go on and on about that to me all the time. He would also have these ridiculous fits. One time, a very old man (80’s) was dragging a trash can around the commissary to clean up. The sound of the scraping so freaked out Klaus, that he ran over, picked up the can, and dumped it – screaming that he couldn’t stand that sound. The poor guy had no idea what was going on. DDS: And, finally, your own career is really interesting – you did the amazing sound editing on Apocalypse Now; you did editing on One Flew Over the Cuckoo’s Nest and Star Wars IV, amongst many, many other things – could you tell me a bit about what it’s like working in the film industry, what your favourite projects have been so far and what you’re currently working on? JM: Whatever I’m currently working on is my favourite. I like documentaries as well as features. I have two in production; one is on Smyrna, 1922, and the other is on corporate healthcare in the US. I’m currently working on completing a feature western I was co-director and editor on [Du dumme Sau! note: I think this is Yellow Rock which is currently in post-production]. DDS: Well, thank you so much for telling Du dumme Sau! 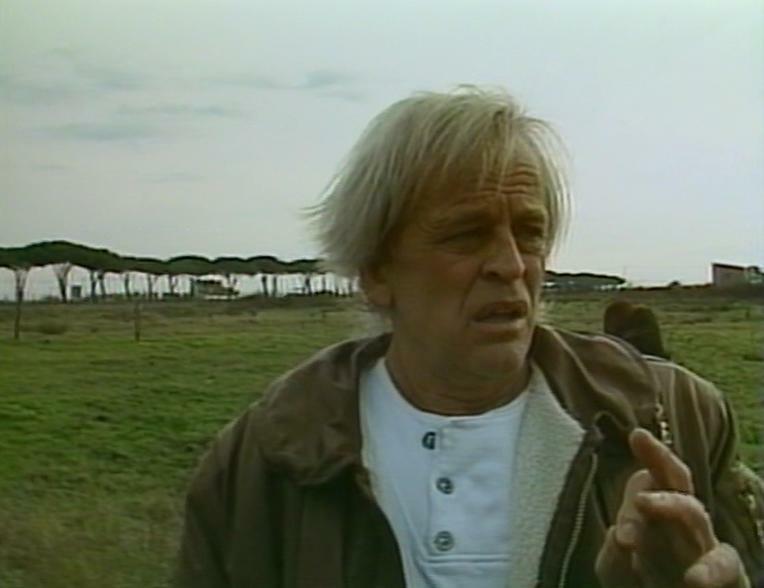 about your experience of interviewing Klaus Kinski and all the impressive tales of working with Werner Herzog (it goes without saying that he is one of DDS’s favourite directors) and Errol Morris (an aside, DDS really loved his 2010 documentary about Joyce McKinney, Tabloid, and would highly recommend it), and hanging out with impressive film makers such as Barbet Schroeder and Pierre Cottrell. Du dumme Sau! is ever so slightly jealous! 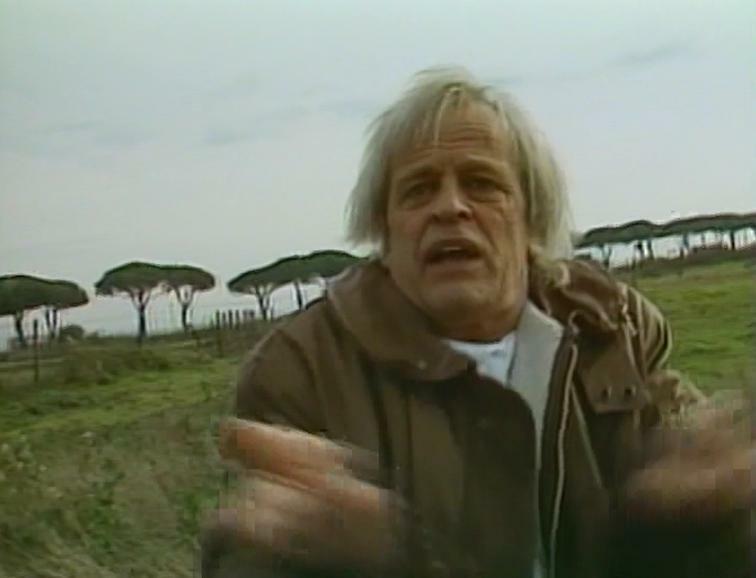 All best wishes for your latest projects, Jay, and thanks again for sharing your Klaus Kinski stories with us. This entry was posted in Interview and tagged Apocalypse Now, Crawlspace, David Schmoeller, Errol Morris, Gates of Heaven, Jay Miracle, Klaus Kinski, Klaus Kinski Talks 2, KlausKinski.45minutes, Les Blank, Ned Burgess, One Flew Over the Cuckoo's Nest, Star Wars IV, Tabloid, Werner Herzog, Werner Herzog Eats His Shoe, Yellow Rock. Bookmark the permalink.